I wonder what the dimensions are compared to the An-225. 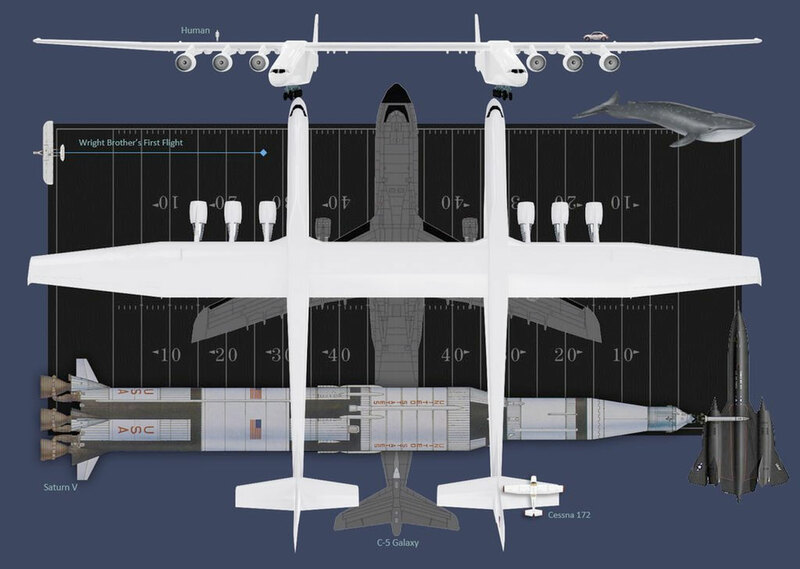 I think I read somewhere that the wingspan on the Stratolaunch is longer? By wingspan, its the largest plane ever. Looks pretty good up in the air. Wingspan is approx 380 ft or 116 meters. Good grief! That sucker is big! I wonder which cockpit is in charge? Maybe they flip a coin every takeoff? I wonder if Revell will make a model of this plane in 1/144 scale like they did with the AN-225, Spaceship Two & White Knight Two, and the A300-600ST and the Ekranoplan A-90 Orljonok.